Do you need to move product? Picking the right trucking company benefits you and your clients in a major way. Build your reputation and attract repeat customers by choosing a reputable, dependable company. You may put out a top shelf product but if your customers don’t receive shipments due to trucking issues you may damage your reputation and business. If however you choose a proven logistics solution you are far less likely to experience problems with shipping. Do thorough due diligence to find the right match for your situation. Each company offers you a different set of solutions which match their expertise. There is no better way to find the right trucking company than speaking to current clients. Tap into real world experience. Happy customers generally lead in the direction of good, dependable shipping companies. Do note how some clients may have different needs than your own. Depending on the nature of shipments, the volume of product being moved as well as shipping destinations you will need to do a bit more homework to ensure you have a match. If however you receive glowing endorsements from current clients you are likely on the right track. Sit down with a customer. Chat about their experience. They will clue you in as to what you can expect with the service. Although you may think you have a great match dig a little bit deeper to ensure a company fits your specific needs before using the service. Where do you ship to? What type of volume do you ship? Are you shipping any irregular items? Logistics companies may or may not specialize in certain areas. For example, one business may be able to ship to exotic locations without experiencing any problems due to their dependable network of partners while another company may have no such network. Ditto on irregular shipments. Get clear on your needs. 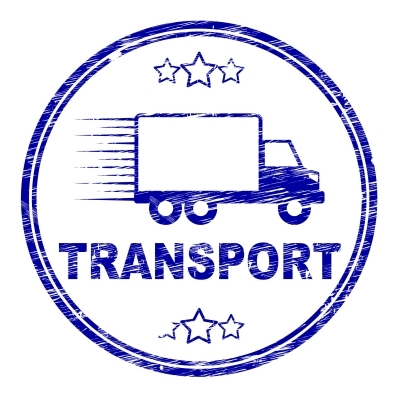 Search for trucking companies which specialize in meeting those needs to find the right match. Don’t just go on word of mouth marketing. Dig a little bit deeper to hire the right shipper. The internet helps you access a whole new network of people to better round out your due diligence campaign. You can visit social media groups, online forums and blogs to gauge feedback of clients and to get the latest and greatest industry information concerning any shipping company. Niche specific forums provide you with feedback. Read reviews carefully. If you note a large volume of positive endorsements you may be on the right path. Do be careful with processing negative reviews; in many cases a wave of negative opinions regarding a company is simply the work of jealous competitors or internet trolls. Anonymity spurs some to offer feedback they would not do if they needed to sign off on their reviews. Patiently check Google Plus and Facebook Groups for niche specific transportation logistics groups to find potential trucking companies. Become an active member to get the most out of the groups.